Your kitchen is the center point in your home, and when it looks and feels wonderful, and is also efficient – it makes a big difference in your daily life. A complete remodel of your kitchen is not always possible, so what do you do when you still want to revive it or add functionality? You update your cabinets! New custom kitchen cabinets are the single biggest visual change you could make in your kitchen, as they can significantly transform and maximize your kitchen space, add style and enhance the general appeal. 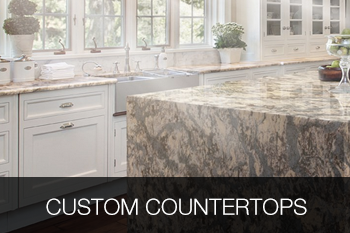 At Bowers & Lobeck Inc. our team of designers, fabricators and installers collaborate to transform your current space into a new design and look that best represents your lifestyle and taste, while making sure every square inch of your kitchen is being properly utilized. Installing new cabinets can create a completely different and fresh feel to your home, add value, and enhance the quality time you and your family spend in the kitchen. At the same time, storage and efficiency play a central role in achieving a functional kitchen that will support your busy lifestyle. 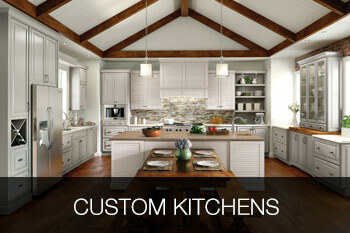 We are very proud of our kitchen designs selections and passionate about sharing them with our customers. 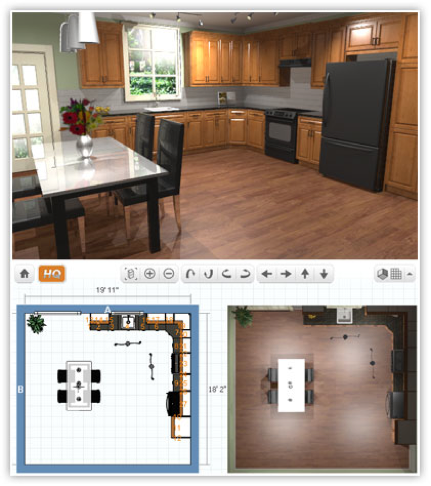 What we are extremely proud of also is the new tool that we now offer to our customers – welcome to the NKBA Virtual Planning Tool. With this tool, you can start visualizing your dream kitchen, bath, or laundry room by looking at potential color, layout, and appliance options. A local NKBA professional can work with you to create that amazing space you want – and at Bowers & Lobeck Inc. our kitchen and bath designers are NKBA-certified. From traditional styles to modern and trendy, our Legacy Cabinets, Shiloh Cabinets, and Medallion Cabinets offer a solution for everyone’s taste and budget. 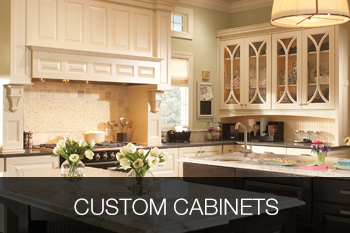 With Bowers & Lobeck Inc. custom cabinets you’ll have a great variety of styles, materials, finishes and shades to choose from, and we are confident you’ll have fun selecting the perfect solution to replace your old, outmoded or rickety cabinets. Remember, our virtual planning tool is here to assist you, and if you’re not sure what to choose, or feel overwhelmed, our designers are here to guide you. 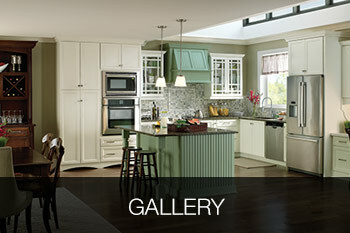 An option we provide is to do a stunning makeover of your old kitchen by refinishing your current cabinets. As you’ll see – options and opportunities to transform your outdated, inefficient kitchen abound. And how about turning your dull, plain looking kitchen into a more luxurious, modern one with our brand new custom cabinets! With our custom cabinets, you can have more storage space in your small kitchen, as we will work to maximize every nook and cranny and ensure your new kitchen is not just more beautiful, but also more convenient. As you work with our specialty designers and qualified installation team, their expertise and experience will blend with your personal touches in creation of a new, one of a kind kitchen with semi-custom cabinetry, stock cabinetry and countertops. At Bowers & Lobeck Inc. our greatest satisfaction comes from ensuring our customers get absolute satisfaction, on any size projects and smaller as well as larger budgets. We also invite you to visit our Gallery/Inspiration page to spark your imagination, play around with our Virtual Planning Tool, and give us a call so we can help you realize your new dream kitchen. Our design staff in Lancaster, PA is ready to work with you to develop your ideas for perfect custom cabinets and bring them to life.